About 30 minutes east of Ogden, heading up a narrow canyon of the same name, I made my way through the beginnings of fall foliage near the cold-looking Pineview Reservoir to the small town of Eden, Utah. There, overlooking a small valley, stands an impressive structure modeled after an old barn. Construction vehicles loomed in the background, and the noises of drills, saws and the light hum of music permeated through the walls of the new structure. 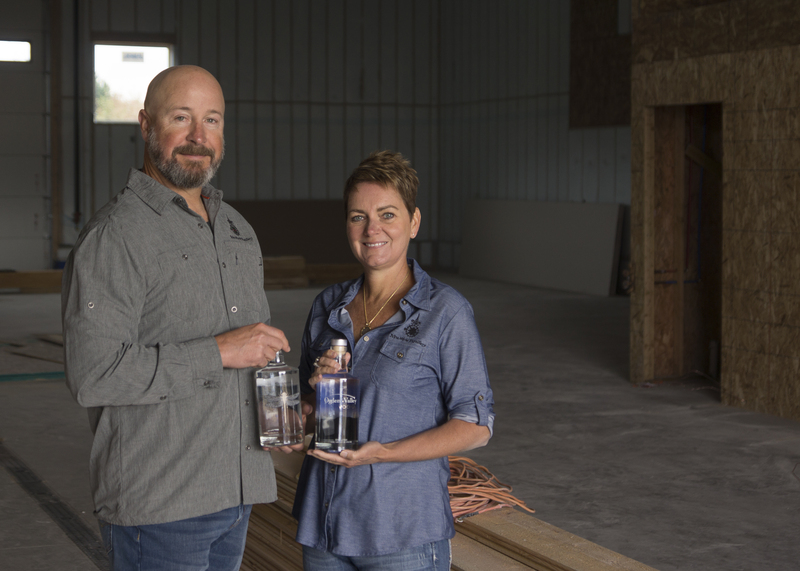 Over the last year, the dreams and ambitions of Chris and Ashley Cross have finally begun to take shape to bring locally distilled spirits to Ogden Valley. This imagery emphasizes the effort that the Crosses have taken not only to show their Utah pride in the labels on their bottles, but to distill as responsibly as possible. New World will use a waste-water evaporator and recirculating water chiller to drastically reduce the amount of culinary water they need. “Most distilleries use culinary water for their fermenters and the condensers on their stills,” Chris says. “The water just goes down the drain after they use it, which seems wasteful and irresponsible. We reuse all of our water.” One hundred percent of New World’s electricity will come from a new solar array, and the packing from incoming shipments has been customized to be reused for distribution. They are even hoping to use organic dust from their waste water evaporator in their nearby organic garden. In addition to aiding them in their conservation efforts, technology is helping the Crosses hone their distillery. Their high-tech fermenters, which are jacketed and insulated, are temperature-controlled to ensure consistency and easy replication in a process that helps conjure the fine taste and aromas that we’ll find in their spirits. New World uses an exclusive still designed solely for their vodka, rather than a converted whiskey or bourbon still. “We are going to have one of the best small-batch vodkas that you can find,” Chris says. “A lot of times, people aren’t making it with equipment that was designed for vodka.” A separate stainless-steel, computer-controlled still is used for the gin and agave nectar. As patrons visit New World, they’ll be able to see all of this in action through large windows in the distillery’s showroom, where tastings and New World’s product line will be available. 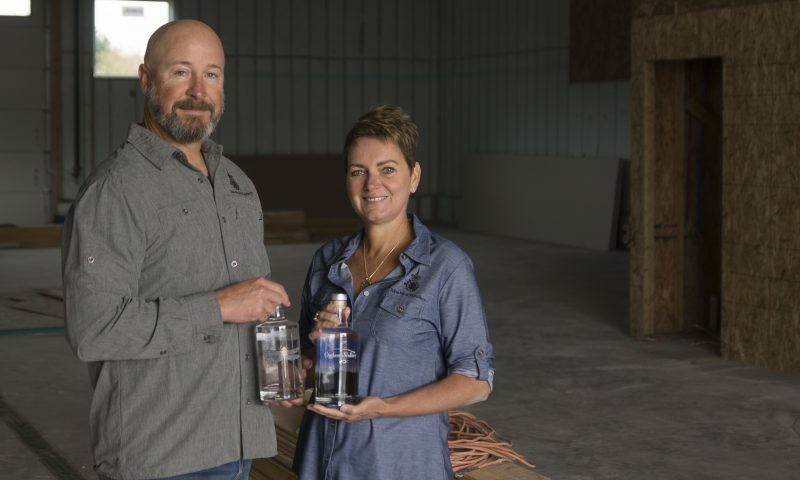 The Crosses want to educate their customers about the entire distilling process, which begins with being completely transparent about their work and business model. This has helped to create buzz around the community and garnered support from other local businesses and Eden. The Crosses hope that their distillery tours will attract tourists visiting nearby ski resorts Snowbasin, Nordic Valley and Powder Mountain, and that it will reflect well on Eden. New World will offer tours and tastings to the public as well as privately arranged tours. “If you are a gin drinker and only want to hear about and taste gin, you can schedule a private tour, and we can just talk to you about gin,” Ashley says. As a Western United States Training Center, people will be welcomed to New World to receive training on their unique processes and machines. These distilling classes are also available to the public, and some of the small-barrel products made during classes may become available as limited-edition spirits. So, cross your fingers for New World Distillery and that we’ll all soon be sucking down some of those agave spirits. 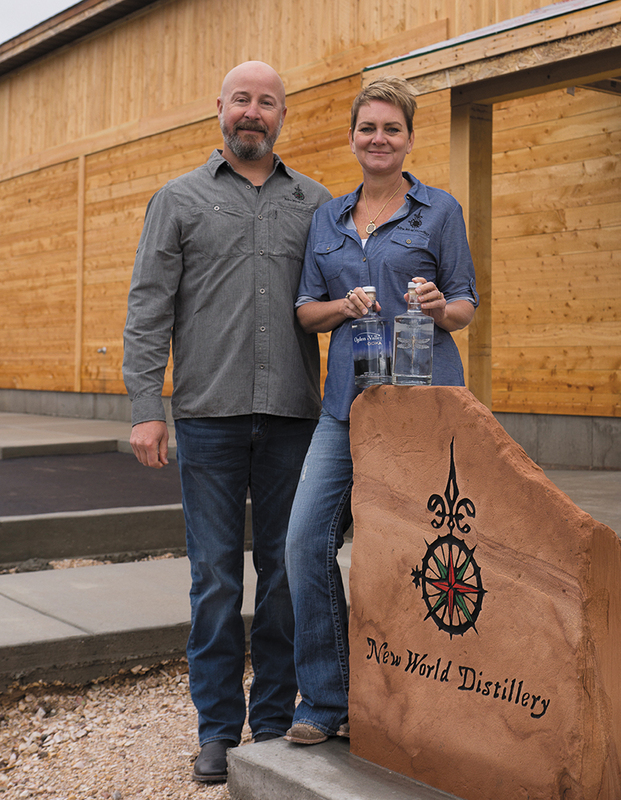 Follow New World’s progress at newworlddistillery.com or take a drive up to Eden to see them for yourself.